If you are looking for online clay sculpture tutorials, I can help. I can now offer sculpting classes, or online art classes where I show you how to sculpt with clay. If you want to learn to sculpt a flower or anything for that matter I can offer 1 : 1 online sculpture tutorials. All you need is the ability of video calling from either WhatsApp, Skype, Facebook or Facetime and wi-fi. Don’t be put off if you are not very IT savvy. I am an IT expert which means I can help you set up any of these services on any devices. So if you are looking for video conference style art tutorials online, read on. 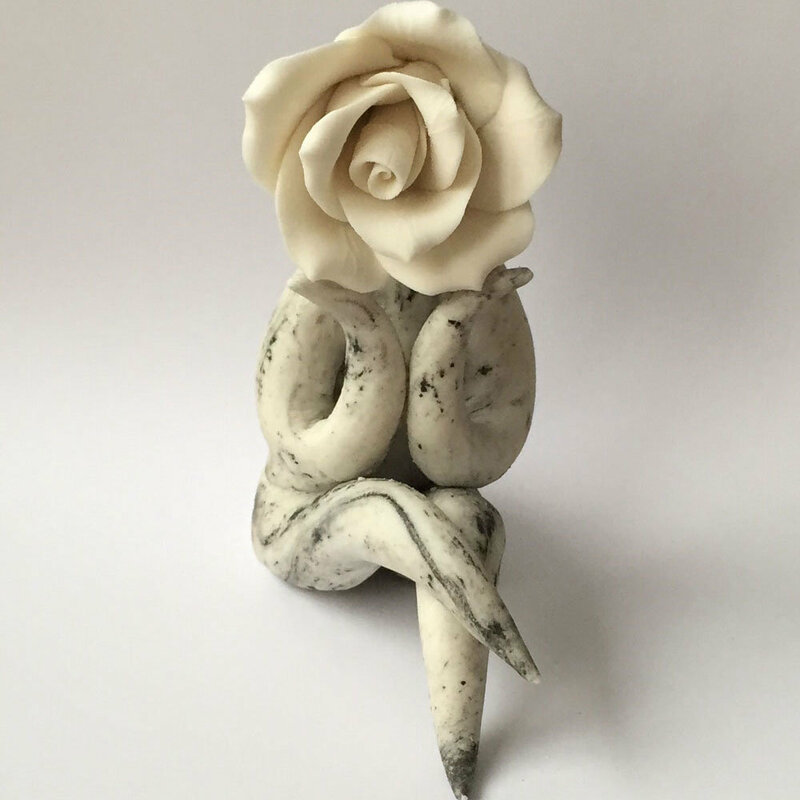 Looking around my website you will see I have pages dedicated to clay flower making tutorials, with some flower video tutorial on YouYube. So if its flowers you want to learn then I am your expert. I believe I can teach anyone to make flowers with any material. It will take practice, but once you have learnt the main technique and with my expert pointers you will soon learn to make flowers. I can work with any material. If you want to learn with air drying clay or fimo clay, not a problem. I have made fimo clay flowers in the past but I would need to buy some in. Whatever material you are wanting to learn with, I would try to get hold of the same or similar. I can also happily teach you how to make a flower lady sculpture, this is as long as its for personal use and not to sell on. If you like the look of my clay wall flowers, I can happily teach you how to make one of these. My flowers have graced the window display in Harrods London and also currently in Macy’s in San Francisco. If you have seen these and want me to teach you how I made them, that’s not a problem. I can make one in less than an hour. To teach you will be all about practicing the making of petals. Once you have mastered the petals which I will easily be able to do within an hour, you can make your own. Or maybe you just want to watch me making a flower in an hour! When I demonstrate flower making at Coalport China Musuem, one of the common comments is “I could watch you all day”. It is very therapeutic to do and watch, so I can understand if some of you just want to watch me sculpting for the hour. I have sculpted all sorts of things over the years, I have been told I am a natural when it comes to sculpting. However I do think I can copy and sculpt pretty much anything. Perhaps you want to learn portrait sculpture or want to sculpt animals or birds. I can show you the best way to approach and sculpt anything. In the past I have made miniature dolls house furniture and bowls, pots, gargoyles, etc. Even if you want to learn something I haven’t made before I am pretty confident I will know the best way to approach it and teach you. If you have had a look at my work and videos and you fancy having an hour personal 1 on 1 tutorial get in touch. 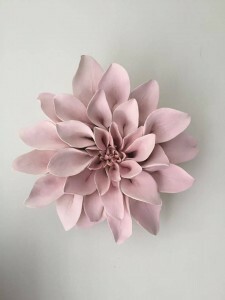 You can look at all my tutorials and videos of ceramic flower making here. The cost of an hours personal tuition with me is £100. To go ahead I will need the payment up front before the video tutorial takes place. If you contact me first we can discuss a time best to arrange the tutorial. If you pay first I will contact you. I will need to know what video conference service you want to use. Time will depend on where you are in the world. But I am happy to run these video classes at any time to suit you. Even with the worlds different time zones, we will be able to find a time that is suitable. 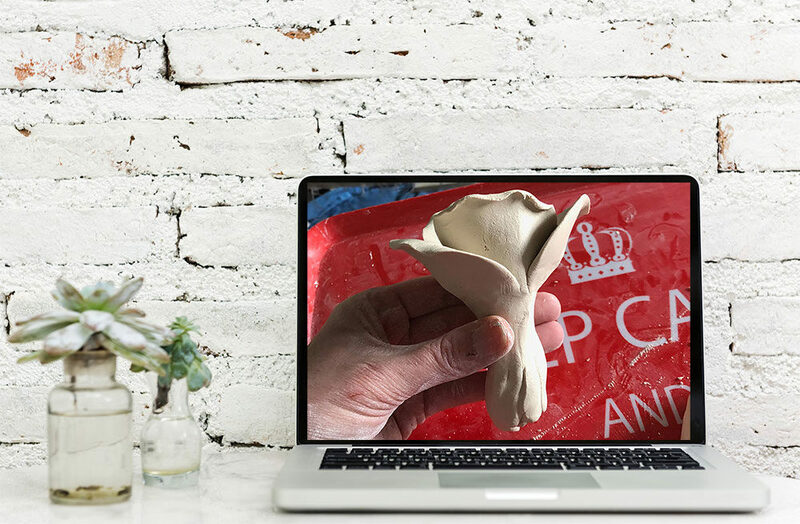 If you want to watch me sculpt or have a one to one personal clay tutorial, please call me on +44 (0) 7813 245386 or email me at caz (at) cazamic (dot) com or use the form.